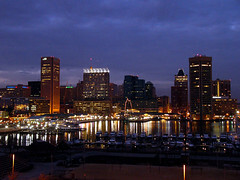 A few years ago, when Baltimore was unveiled as a cruise departure port for several cruise lines, they offered a fantastic residents deal of a 7-night cruise for less than $500 per person. We didn’t take advantage of the deal because of a conflict but many of our friends did and had a fantastic time. Since then, I don’t think anyone, ourselves included, has taken a cruise out of Baltimore! Part of the reason why no one has gone on another cruise has to do with the destination, most of the shorter cruises out of Baltimore go to Bermuda. While Bermuda is a perfectly fine place, it’s difficult to justify repeat trips within such a short period of time. If you’re willing to go a little longer, the Bahamas and the Eastern Caribbean start to become options as they are farther away. There’s nothing anyone can do about that, ships can only sail so quickly so your options are always limited. If you do want to sail out of Baltimore, I recommend that you take a cruise to Bermuda. You can reach Bermuda with a day’s worth of sailing, meaning you only lose two days at sea getting to and from the island. I personally like the shore more than the ship but if you are the reverse, then more days at sea won’t hurt. Royal Caribbean has a 5 day cruise from Baltimore to Bermuda on the Enchantment of the Seas. Across the five days, you spend only 28 hours at Kings Wharf (10AM on Day 3 to 2PM on Day 4). The rest of the time is spend sailing. If you are taking a cruise that’s 7 days or longer, and you don’t mind days at sea, then the eastern Caribbean and other destinations (New England & Canada!) become options for you. If you have two sailing days and a five day cruise, you spend half the time on the ship. If you are unlucky and go during high winds/high seas, you may have a five day cruise entirely spent at the sea! If you don’t like so many days at sea, I recommend flying to Florida to get your cruise fix. You trade in a day or two (or three!) of sailing for a quick flight and more time at fun destinations.